We have done our best to try Babywatcher on various Android and iPhone devices. On this page we have put some tricks that might be necessary on some devices. Please, let us know if you experience any problems with your device and we will try to get to the bottom of it! Babywatcher is the complete baby monitor app that will allow you to fully relax when your baby is sleeping - for FREE! 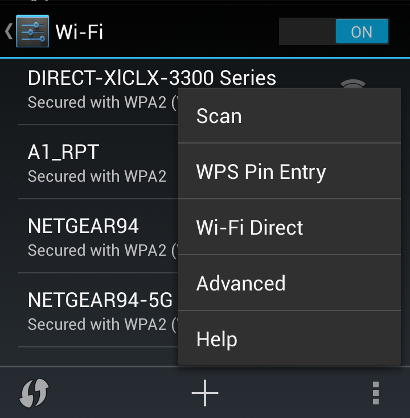 It connects by using the normal WiFi network and works in the background of your device. It alerts you as soon as your baby makes a noise! Is it true? Is Babywatcher really free? Yes! There are no charges from using it! However, if you want to stream video it is available as an in-app-purchase! 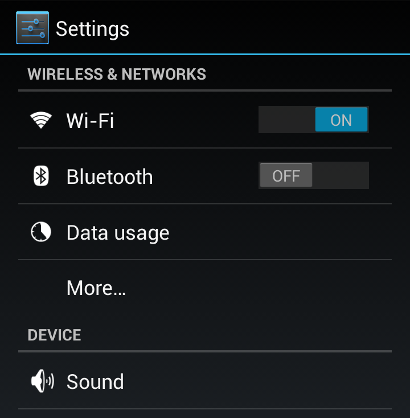 Android 6.0: Disabling wifi doze functionality. Android 6.0 introduces a new feature called "doze" it will turn off wifi after the display has been turned off. This will cause Babywatcher to lose its' connection. 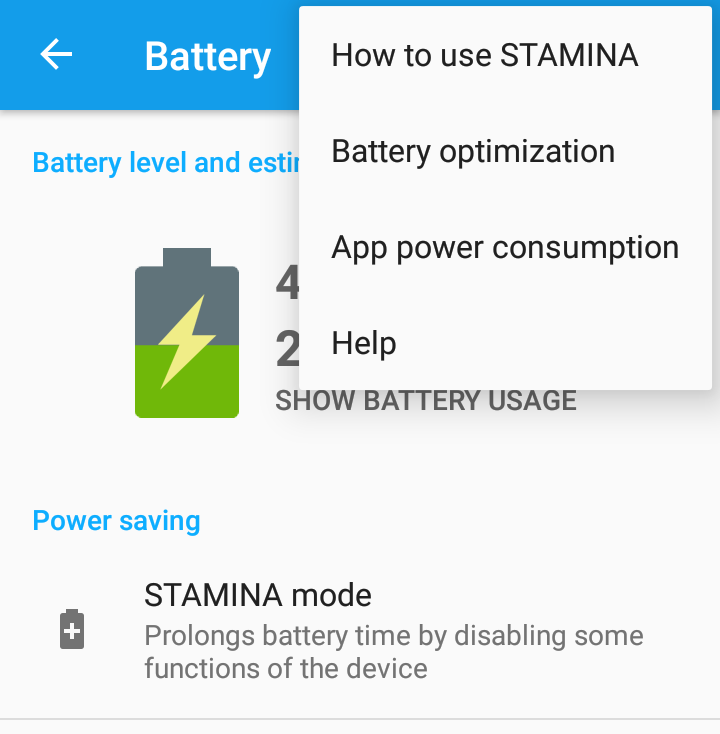 Open the menu in the upper right corner (three dots) and select "Battery optimization". 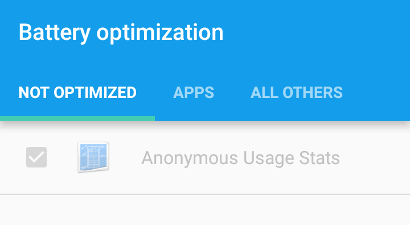 Select the tab "Apps", or on some devices "All apps" from the drop down. Find Babywatcher in the list of apps and click it. Some devices will show a dialog where you should select "Don't optimize" others only have a checkbox. All done. 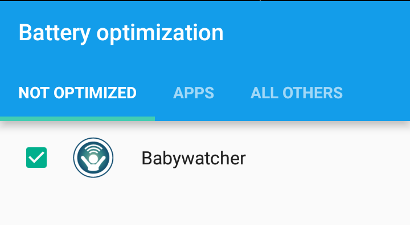 Babywatcher should now be in the list of apps that is "Not optimized". 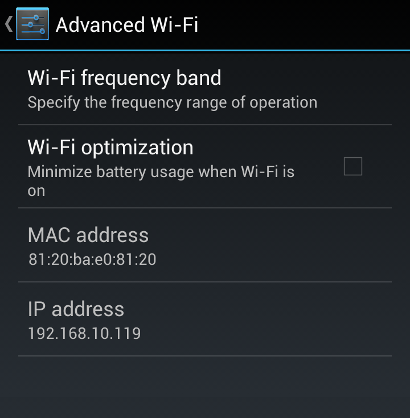 Samsung Galaxy Nexus: Disabling Wifi optimization. Samsung has implemented their own Wifi optimization on these devices (and maybe on others?). This feature will turn off wifi when the display is turned off and Babywatcher will lose its' connection. Select Wifi - yes, the usual one where you select which wifi to connect to. Open the menu in the lower right corner (three dots) and select "Advanced". Disable the "Wi-Fi optimization" checkbox in the list. 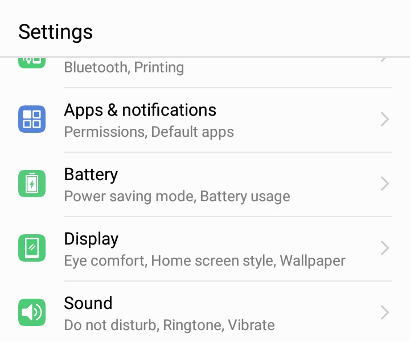 Huawei Phones: Disable "Launch" power saving. 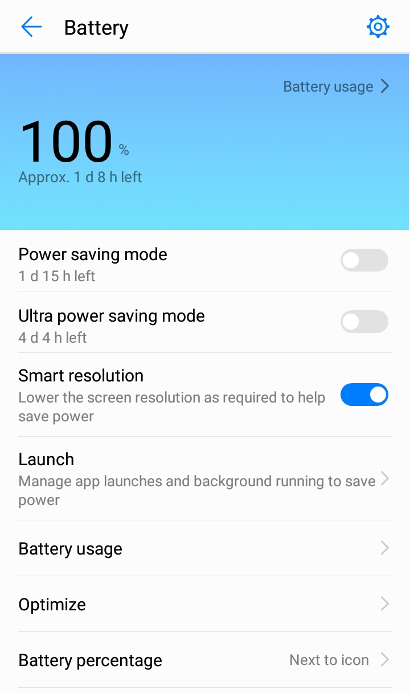 Some Huawei phones manage app launches and background running to save power. This will result in Babywatcher being forced to close in the background without notification. This will cause sudden connection lost. 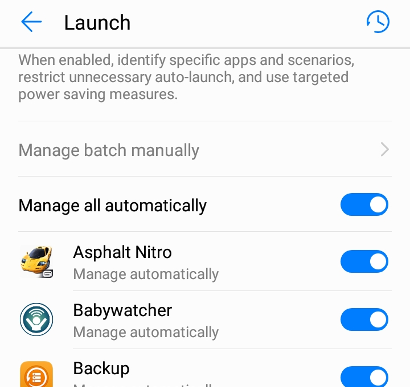 Disable automatic managment for Babywatcher. 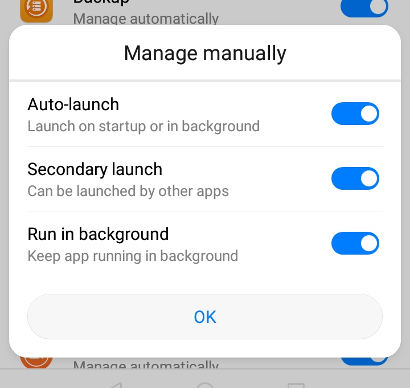 Press OK to accept the app to be manually managed.